Description: Sweet or salty? Why not have BOTH! 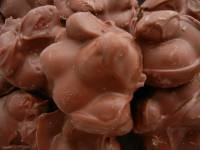 Bates Honey Roasted Almonds give you the best of both worlds in a nutritious snack. Description: 16 oz. bag of fresh California grown raw almonds; high in calcium, copper, potassium, protein and zinc. Description: 3 lb. bag of fresh California grown raw almonds; high in calcium, copper, potassium, protein and zinc. 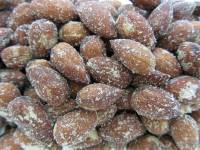 Description: Fresh California grown raw almonds are high in calcium, copper, potassium, protein and zinc. 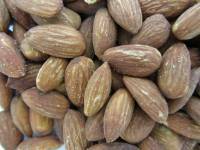 Almonds, Raw, Blanched 7 oz. 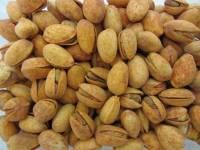 Description: Raw blanched almonds, no skin. Great healthy addition to any salad, snack, meal or dessert. 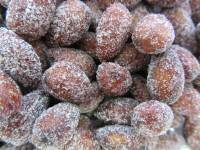 Description: Raw California almonds. Thinly sliced for all of your cooking and baking needs. 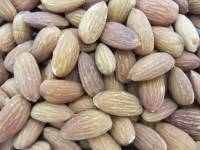 Description: Raw slivered almonds are loaded with nutrients. Use in your favorite recipes or enjoy as a snack. Description: Unsalted roasted almonds. 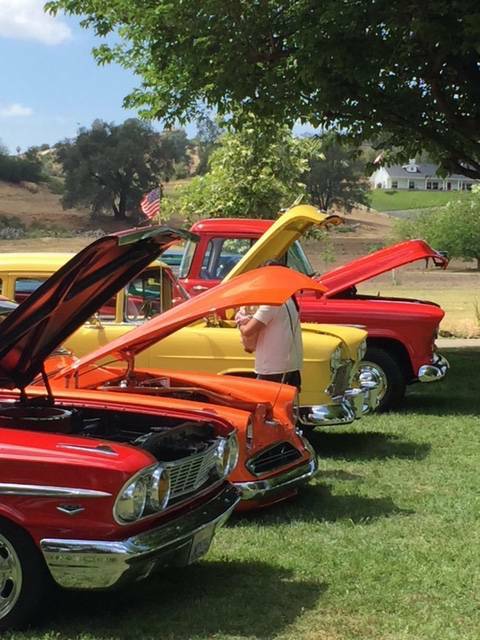 Our California almonds are roasted right here at Bates Nut Farm. 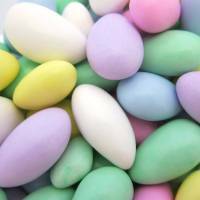 They are high in calcium, protein and fiber, and low in carbohydrates. 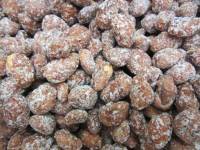 Description: California grown roasted and salted almonds. 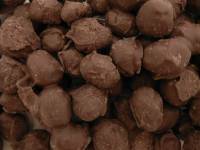 They are a great source of nutrients and a wonderful snack. 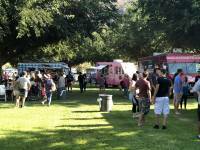 Description: Smoked almonds are a Bates Nut Farm favorite. A zesty snack coated with zesty smokehouse seasoning. Description: Smoked almonds are a Bates Nut Farm favorite. 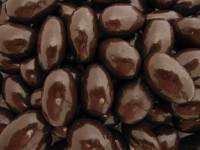 Roasted almonds flavored with smokehouse seasoning. 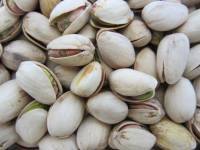 Description: Our shelled raw Brazil nuts are a delicious source of selenium, magnesium and thiamine. 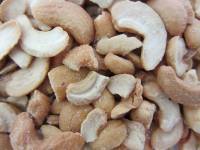 Description: Our raw cashew pieces are high in protein and low in carbs, and make a healthy snack. 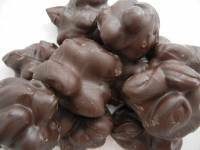 Cashew Pieces, Roasted / No Salt 12 oz. 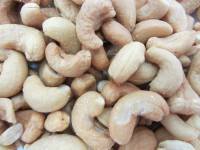 Description: Our cashew pieces are roasted right here at Bates Nut Farm for a fresh, toasty, nutty cashew taste. Unsalted. Cashew Pieces, Roasted / Salted 12 oz. 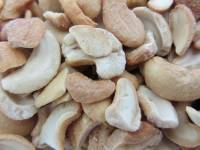 Description: Our gourmet cashew pieces are roasted and lightly salted right here at Bates Nut Farm. Use for cooking, baking and snacking. 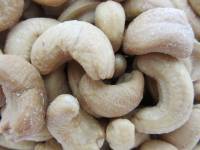 Description: Our jumbo whole cashews are roasted and lightly salted right here at Bates Nut Farm for a fresh, toasty, nutty cashew taste. 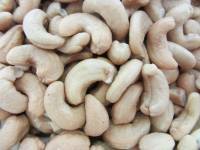 Description: Our whole raw cashews are high in protein and low in carbs, and make a healthy snack. 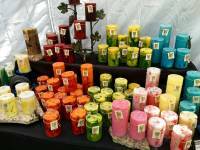 Description: Our whole cashews are roasted right here at Bates Nut Farm for a fresh, toasty, cashew flavor. We've left them unsalted so that you can fully appreciate their nuttiness! Description: Our cashews are roasted and lightly salted right here at Bates Nut Farm for a fresh, toasty, nutty cashew taste. Cashews, Roasted / Salted 7 oz. 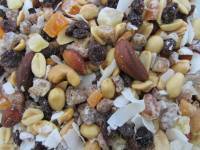 Description: A healthy mixture of raw cashew pieces, raw almonds, raw Brazil nuts, roasted Virginia peanuts, Thompson seedless raisins, date peices and raw sunflower seeds. 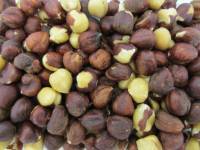 Description: Raw filberts, also known as hazelnuts, are a delicious and healthy snack. Already shelled, these are ready for you to enjoy! Description: Our filberts, also known as hazelnuts, are roasted and lightly salted right here at Bates Nut Farm for a fresh, nutty flavor. 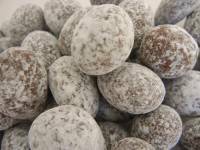 Description: Our Kwik Er Gee mix is loaded with nutrition! 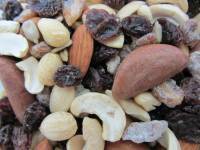 Dried fruit and roasted nuts are blended to give you quick energy on the trail or at work. 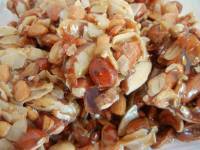 Mixed Nut Brittle with Coconut 12 oz. 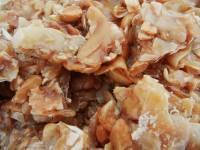 Description: Our Mixed Nut Brittle is a special treat! 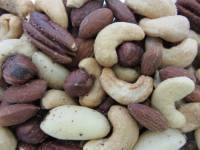 We blend virginia peanuts, almonds, brazils, filberts/hazelnuts, cashews, walnuts, and coconut, for extra nutty homemade taste. 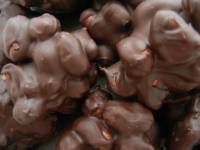 Peanut Clusters, Dark Chocolate 8 oz. 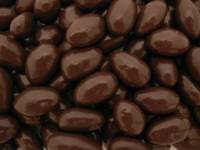 Description: Crunchy peanuts drenched in rich dark chocolate for a salty/sweet, and creamy/crunchy candy treat. It's hard to improve on this flavor combination! 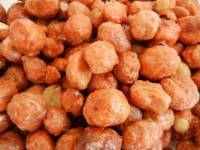 Description: Shelled raw pignolias, or pine nuts, are ready for you to use. 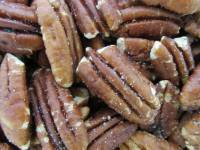 They can be toasted to enhance their nutty flavor, or use them raw in your recipes. Pumpkin Seeds, Raw 12 oz. 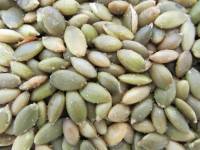 Description: Our raw pumpkin seeds, sometimes called pepitas, have a sweet and nutty flavor with a chewy texture. Popular during the fall season, they are available all year round. 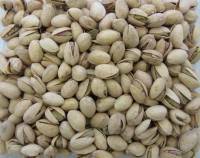 Pumpkin Seeds, Roasted / Salted 12 oz. 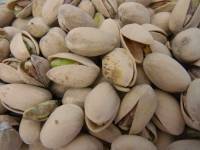 Description: These pumpkin seeds, sometimes called pepitas, are roasted and salted. Subtly sweet with a chewy/crunchy texture, they are as flavorful as they are nutritious. Spanish Peanuts, Raw 16 oz. 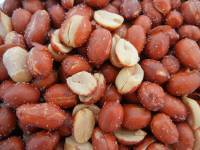 Description: Sweet raw redskin peanuts are ready for you to roast, add to recipes, or just enjoy on their own. Spanish Peanuts, Roasted & Salted 16 oz. 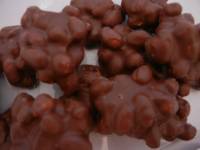 Description: Sweet redskin peanuts are right here at Bates Nut Farm. As they come out of the roaster, they are lightly salted. Spanish Peanuts, Roasted & Salted 8 oz. Spanish Peanuts, Roasted NO Salt 16 oz. 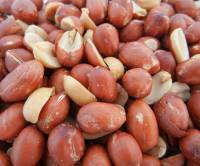 Description: Sweet redskin peanuts are roasted right here at Bates Nut Farm. NO salt. Sunflower Seeds, Roasted & Salted, In Shell 6 oz. 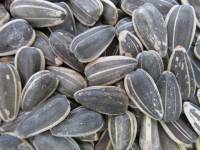 Description: These premium sunflower seeds have been roasted and salted in their shell for a traditional taste. Choose from a variety of nuts from around the world. We have lots of options...roasted, raw, salted, unsalted, all delicious!